Congratulations McNevin's Grade 4/5 parents and students! You have almost escaped! Now go to your desk and look in your folder for your final task. Read more about Parent Involvement MATTERS! Read more about Students Need You! Every involved parent can make a difference. We need you! Your children need you! Our Ethel Milliken School Community Council (EMSCC) needs you! We are now registering young people for Kindergarten who will be 5 years old by December 31, 2019. 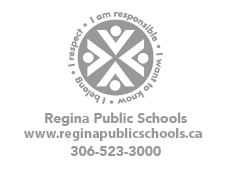 Please pop into the office during school hours to pick up a registration package for your child.